The abduction thriller comes to UK DVD/VOD August. 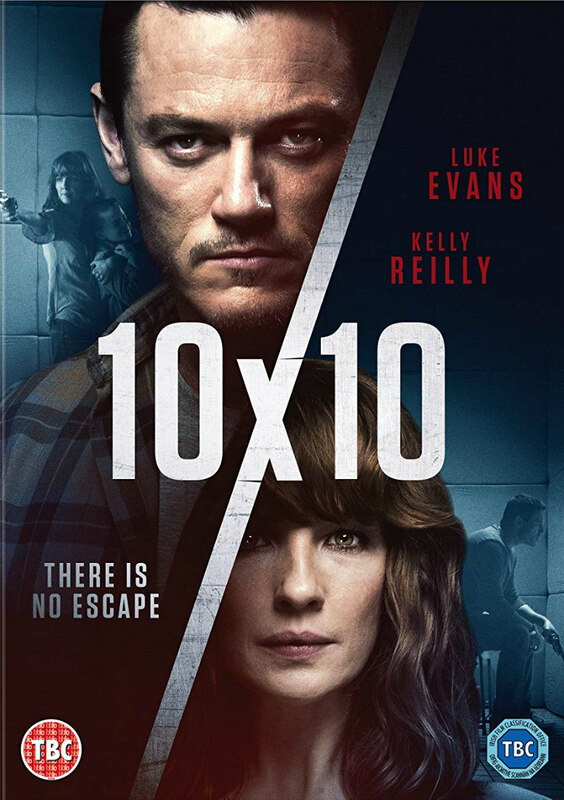 From director Suzi Ewing and prolific writer Noel Clarke, 10x10 stars Luke Evans as a man who abducts a woman (Kelly Reilly), confining her to the titular cell in an attempt to extract a mysterious confession. 10x10 hits DVD and digital download on August 27th. You can pre-order at Amazon. Check out the trailer below and let us know your thoughts. After meticulous planning and preparation, Lewis (Luke Evans; The Alienist, Beauty and the Beast) snatches Cathy (Kelly Reilly; Britannia, Eden Lake) off the street and takes her to a remote luxury house, locking her away in a soundproofed room measuring 10 feet by 10 feet. His motive: to have Cathy confess a dark secret that she is determined to keep hidden. However, Cathy has no intention of giving up easily, and proves more than a match for her kidnapper.